The major mining group, Rio Tinto, is a diversified venture with headquarters both in London and Melbourne. The company was founded in 1873 and has since then expanded greatly, owing to numerous mergers and acquisitions. 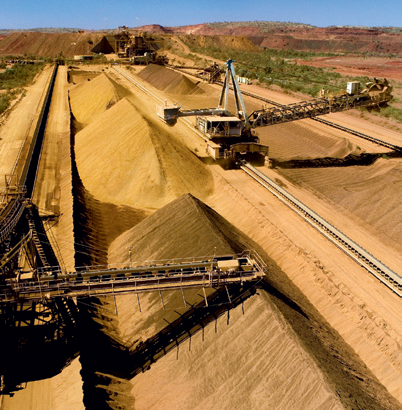 Today, the group is known as a world leader in the production of commodities such as iron ore, aluminium, copper, uranium and coal, as well as diamonds. The prime focus of the company is the extraction of minerals, but other important business operations include the process of refining bauxite and iron ore. The company currently operates across six continents, the main territories being Australia and Canada.